With seating for just under 30 people, our Skerries store is the perfect place to relax or catch up with a friend over coffee. Insomnia Supervisor Patricia is new to our Insomnia family but looking forward to the challenge and getting to know her customers and the local area. Her favourite hot beverage is Tea whilst she thinks the local’s favourite will be an Americano. 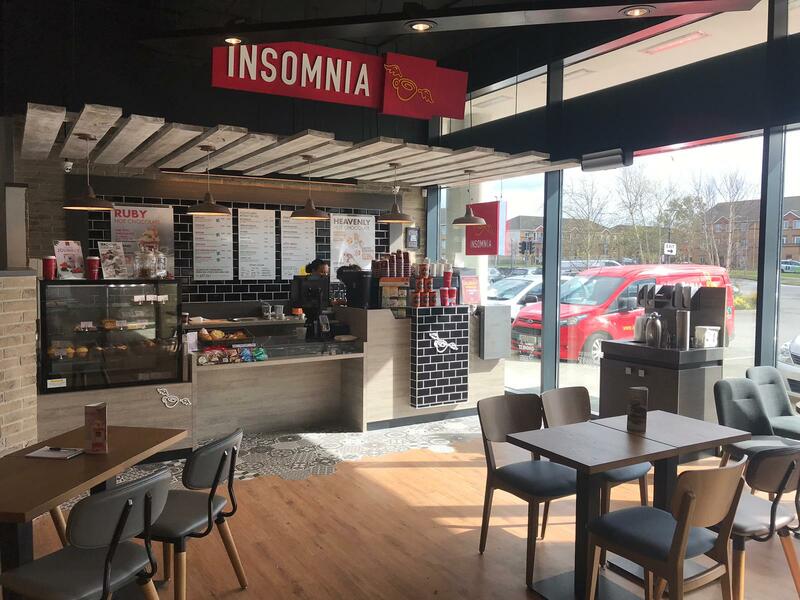 Store Manager Shane believes “Insomnia will bring extra business to the shop and will be good for all existing customers who wish to relax and love a good cup of coffee”. Mark’s favourite coffee is a Flat White. Our Spring Menu is available in store, with our Ruby Hot Chocolate and Bueno Brownie already firm favourite with locals. To view a full list of seasonal products, click here.